SATURDAY, JUNE 15, 11 a.m. to 3 p.m. 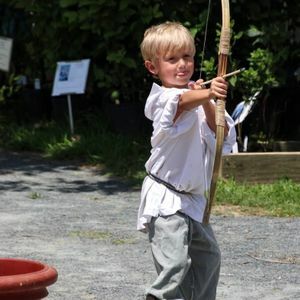 ADMISSION: $10 per person for adults and children ages 6 and up. Children ages 5 and under are admitted free. Please note that admission is charged for ALL attendees ages 6 and up. Children who are admitted free must be accompanied by a paying adult. Revel in a day of forest lore and legend! Journey back the days of knights and ladies as you explore a forest labyrinth, seek your fortune from a soothsayer, and search for the Green Man of the ancient Celts among the trees. Entertainment will include falconry demonstrations and performances by the Allegro Women's Chorus, Ampersand, and the Sammati Dance Company. Stout-hearted revelers may sample porridge at the outlaws' hide-out or take part in foraging, archery, and building with wattle and daub. Camelot-inspired costumes are encouraged. Refreshments—including ice cream from Nice Farms Creamery—and unicorn rides are available for an additional fee. Bring your camera for photos with notable nobles. 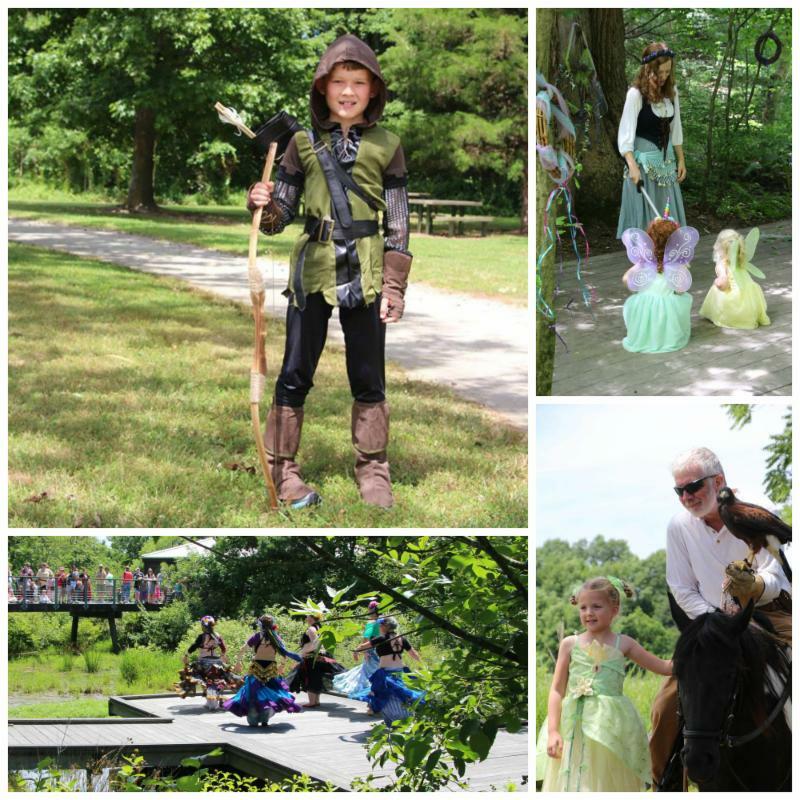 Forest Faire is generously supported in part by Ampersand. Special thanks to Church Hill Theatre for lending period costumes to our staff and volunteers.